COLLECTION OF PERSONAL DATA: PCaSO will only collect and hold Personal Data about you that is reasonably necessary to undertake our normal activities and functions, or as otherwise permitted by law. ⁃ Providing our Membership services to you including Newsletters, and information about events and fundraising. ⁃ To assist with your queries. ⁃ Acting as your agent if you request us to do so. ⁃ For surveys, direct marketing, promotions or competitions. ⁃ Facilitating our internal operations including the fulfilment of any legal or regulatory requirements. ⁃ Analysing our services and member needs with a view to developing new and/or improved services. 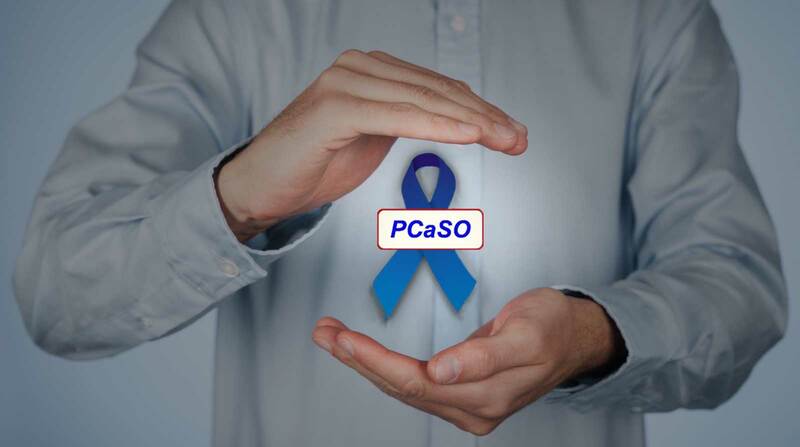 ⁃ For PCaSO volunteers, contractors and suppliers as is reasonably and/or legally necessary. We generally collect Personal Data directly from you, through the use of any of our standard forms, over the internet, via email or through a telephone conversation with you. We may also collect Personal Data from third party contractors or agents who provide our products and services on our behalf. You are under no legal obligation to provide your Personal Data. The types of Personal Data that we collect may include your name, address, email address, social media address or other contact details and such other information that is relevant for us to provide our products and services to you in the manner that you have requested, or to comply with the law. We do not generally collect sensitive information from you. However if you provide such information to us, we will only collect that information with your express consent and only where such information is reasonably required in order for us to provide our products or services to you (such as special access or assistance requirement due to a health condition). We shall not disclose sensitive data to any other party beyond necessary third party contractors or agents without your consent. We will hold your Personal Data as current for up to two years after its last active use or to legally required timescales (whichever is the longer), after which your Personal Data will be archived and not used or maintained, unless you contact us further. If the Personal Data you provide to us is incomplete and/or inaccurate, or you chose not to provide us with the Personal Data that we have requested, it may affect our ability to provide you with our products and services. Where possible you will have the option of interacting with us anonymously or though a pseudonym, however, where you are requesting products or services from us, it may become impracticable to provide those products or services to you without verifying your identity. ⁃ Service providers, contractors, agents or other appropriate partners who assist us in providing our products and services to you. This includes The Graham Fulford Charitable Trust (reg. charity no. 1109385), and National Health Service hospital pathology departments. ⁃ External providers of services where you have engaged us to act as your agent. ⁃ Other service providers, who provide the various services that you have requested and we have arranged. ⁃ An entity to whom we are required to disclose such information under law. ⁃ Other parties with your consent and direction. We will only provide such Personal Data to those third parties as required to provide our products or services, unless otherwise authorised by you or required under law. Your Personal Data will not be used for automated decision-making, profiling or screening. When you provide us with information about yourself, you will usually be given the option to let us know that you do not want that information to be used for relevant marketing or fundraising purposes. You can change your mind about your preferences in respect of direct marketing and fundraising channels at any time by following the Unsubscribe instructions included in the relevant communication or by contacting the Data Protection Officer (see Contacting PCaSO, below). Our social media pages provide instructions as to how you can unsubscribe from the relevant social media website or page. The security of your Personal Data is important to us. We may store your Personal Data in different ways, including in paper form, electronic form, telephone recordings and utilising secure document retention services (including those located offsite). We take all reasonable measures to ensure that your Personal Data is stored safely to protect it from misuse, loss, unauthorised access, modification or disclosure, including electronic (firewalls and access controls) and physical security measures. Our website or apps may contain links to other websites. We are not responsible for the security or privacy of any information collected by third party websites or other services. You should exercise caution, and review the privacy statements applicable to the third-party websites and services you use.